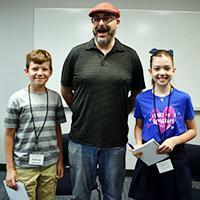 On Friday, September 21, children’s author Josh Funk visited Lakehill Lower and Middle School students. After being greeted by the kindergarten class, Mr. Funk was interviewed two fourth grade reporters, Adrian Chytil and Abbey Nikolic . Both Adrian and Abbey noted that even though Mr. Funk was as smart as they had thought he would be, they were surprised by how fun he also was. During three separate assemblies, Mr. Funk guided students in grades K-8 through the writing and publishing process, helping them to gain an appreciation of the multiple drafts, collaborative teams, and time it takes for a book to make the journey from original idea to a book on a shelf. Students invented their own characters and conflicts in a collaborative session, and were invited to keep their stories going long after Mr. Funk's visit had ended. The audience was treated to a sneak peek of It's not Hansel and Gretel as read and acted out on stage by fellow students, teachers, and parents. Mr. Funk, a computer programmer by day, began to develop an interest in writing children’s books through reading to his children. The more books, he read, the more excited he got to begin writing them himself. He began to get ideas for his stories from everywhere, including his children. For example, one morning at breakfast his children were fighting over the syrup. This ordinary event led to his popular book Lady Pancake and Sir French Toast. Mr. Funk, who writes in his free time, explained that the length of time it takes him to write a book often depends on his level of excitement. He estimates that the average amount of time for him is three to four years. However, even if he writes the book in a single week (which has happened), it takes at least two years before it is published. After writing a draft, he frequently has his friends read his manuscripts for suggestions. Mr. Funk's advice for young writers is to read many books in different genres. "There are stories all around you; you just have to be aware and observe what is happening." 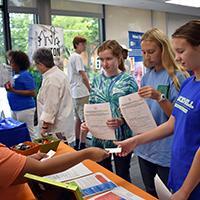 On September 21, Lakehill held its the third annual Volunteer Fair in the Lydia and James Perry Community Room and the Student Commons. Students were able to meet with 14 different charitable organizations, learning more about their missions and the volunteer opportunities available. Participants were Bonton Farms, Catholic Charities/The Brady Center, C.C. Young, Community Partners of Dallas, Crossroads Community Services, Dallas Children's Advocacy Center, Feed My Starving Children, Hunger Busters, Jewish Family Service, Jubilee Park and Community Center, Meals on Wheels, Reading Partners, Voice of Hope, and the Wilkinson Center. The Fair gave seventh graders through high school seniors an opportunity to broaden their volunteer horizons and give back to their Dallas community. As one of those students, I appreciated the opportunity to network and communicate with a wide variety of volunteer partnerships and explore many new avenues for service. 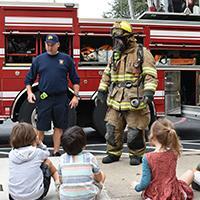 Members of the Dallas Fire Department paid a special visit to talk to Lakehill's kindergarten classes about smoke detectors, how to get out of a house that is on fire, when and how to call 9-1-1, and how to stop, drop, and roll. Students enjoyed walking through the fire truck and seeing the firemen dressed in their full gear while learning more about fire safety. Homecoming is just around the corner, and Sisteens is ready to help you show a little extra spirit for the homecoming game. Sisteens will be selling Homecoming Spirit Packs” for only $5. 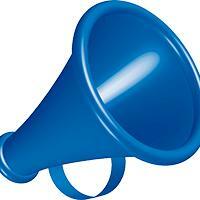 You will be able to choose between beads or a lei and a megaphone or a football! All of the spirit packs come with window paint, sunglasses, and bam bams. Spirit Packs will be sold at the school entrance near the cafeteria on October 1 - 4, from 7:30-7:50 a.m., with payment due with the order. Spirit Packs will be delivered on October 19. Support Lakehill just by shopping at Amazon – start at AmazonSmile! 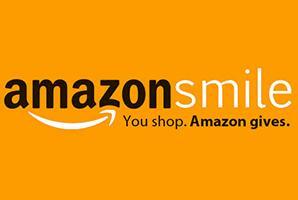 Support Lakehill by starting your shopping at smile.amazon.com. 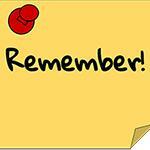 Don’t forget to start at smile.amazon.com every time you shop at Amazon. They’ve made it easy with an Amazon Assistant extension that automatically sends you to AmazonSmile anytime you go to Amazon. Mitch Musselman joins the Lakehill faculty this year, teaching Upper School Physics, Chemistry, and AP Physics. He is also a Sophomore Class sponsor. 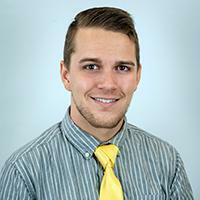 Originally from Illinois, Musselman graduated from the University of Illinois at Urbana-Champaign with a major in Chemistry and a minor in Education. He previously taught science at Champaign Centennial High School. Musselman recently married Megan in June, moving to Dallas shortly after, where they live with their two dogs and a hedgehog. He enjoys playing lacrosse, after playing briefly in college, and enjoys playing Magic: the Gathering in tournaments, such as the recent Dallas Star City Games Open, where he went 6-1. Musselman is also a talented musician, playing saxophone, piano, and clarinet. While he doesn't have time to play as much as he would like, listening to and enjoying music is still an important part of his life. He is passionate about teaching, and hopes to engage and inspire his students. He is most excited about the various build projects for his classes, and has already engaged his students in several, including Rube Goldberg machines with freshmen in Physics, and building catapults in AP Physics. "The best part of my job is guiding students through activities where they discover and apply scientific principles." Musselman has been impressed with his new students and believes they appreciate his philosophy of working for what they want. 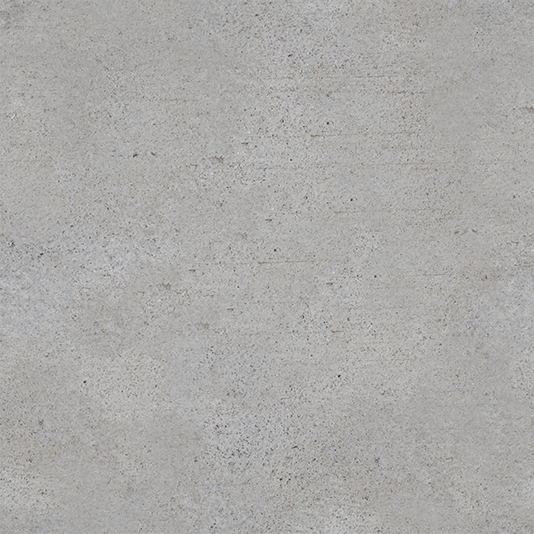 "I have enjoyed seeing the dedication of my students and the academic rigor to which they are accustomed." He feels welcomed by the faculty and students at Lakehill. "Lakehill's best attribute is its community. It is a place where everyone supports and cares for one another." Julia Bartholow has attended Lakehill since third grade. She has participated in musical theater, volleyball, cheer, and tennis. She also has a part-time job at Yogurtland. Julia has received many awards at Lakehill, including the Headmaster’s Honors list (A’s and B’s), the Headmaster's High Honors list (all A's), Choir Freshman of the Year, and Excellence Awards in musical theater and painting, an activity she also enjoys outside of school. 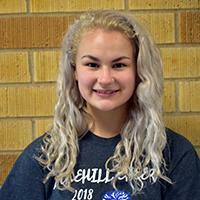 Julia's academic excellence also contributed to her membership in National Junior Honor Society and National Honor Society. Julia's favorite class at Lakehill was AP Psychology because she enjoyed learning about the human brain and psyche. Some of her favorite memories are from discussions she has had in English class. Julia is considering Emory University, but she is still undecided on her major. Her best advice to young Warriors is: "Learn how to work hard now. It will be less stressful as you go forward." Thank You for Making a #BigImpact. 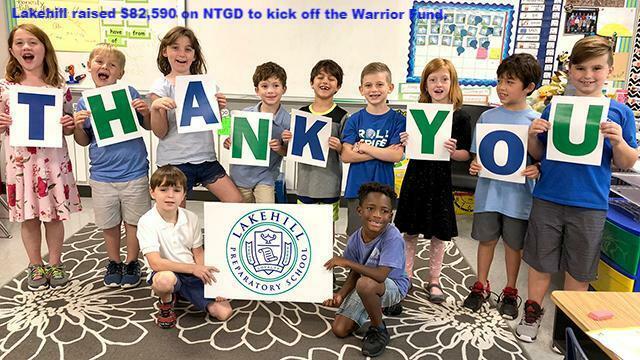 Thanks to you, on North Texas Giving Day we received more than 160 donations, totaling nearly $82,590, to kick off the 2018 Warrior Fund, Lakehill's annual fund giving campaign. These gifts help close the gap between tuition and the actual cost of a Lakehill education. Your donations help our students take field trips and travel for athletic competitions. Your support also provides security at both of our campuses, ensures the curriculum is engaging and up-to-date, and so much more. Lakehill is a Small Place where you can do Big Things. By supporting the Annual Fund Campaign, you make a #BigImpact. 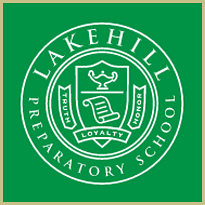 If you missed the big day of giving, you can still support Lakehill students by making a donation visiting lakehillprep.org/giving. Thank you again for supporting the Warrior experience! 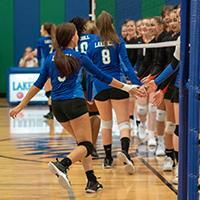 The JV and Varsity Volleyball teams picked up big road wins over Dallas Covenant last week. The win puts the JV team at 3-2 in district play, while Varsity is still undefeated. Both teams will travel to Rockwall to face Heritage Christian Academy on September 27. Heritage Christian is currently state ranked and is in second place in the district rankings. JV will start at 5:30 p.m. and Varsity at 6:30 p.m. The Middle School Blue and Green Volleyball teams played well on September 25, against Greenville Christian and Providence, respectively. The Blue team won in two games (25-11, 25-19) with Lily Bracken leading with consistent serves, and great defense from Reese Armentrout and Sydney Nguyen. The Green team also won in two games (25-9, 25-23), with Taylor Gardsbane playing great defense and consistent serving from the entire team. Both teams play at home on September 27, at 4:00 p.m. and 5:00 p.m. 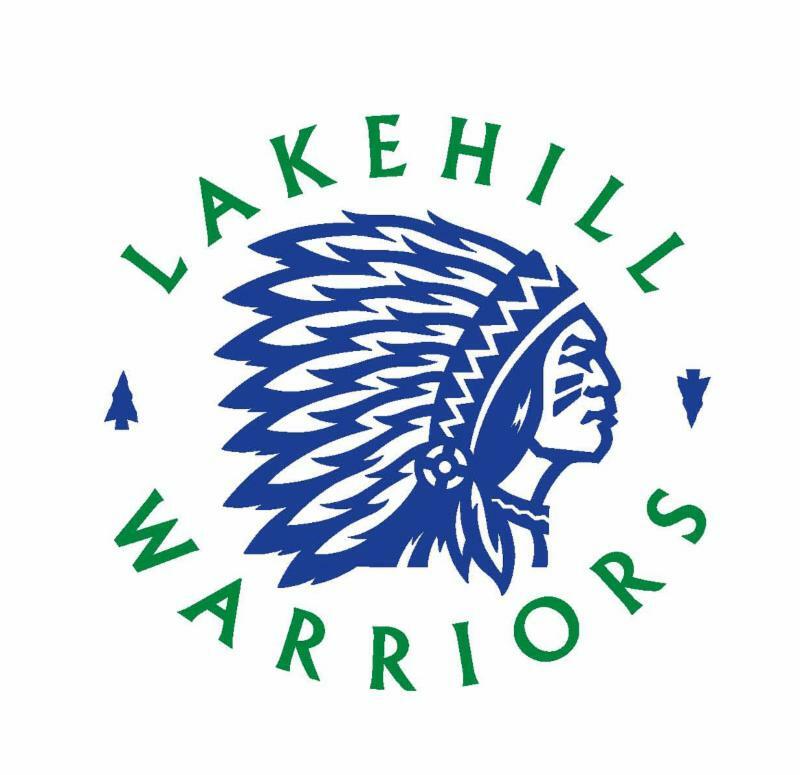 The Lakehill Warrior Middle School Football team got its first victory September 20, with a 26 - 0 victory over Greenville Christian at home. Both the offense and defense were firing on all cylinders in this game. Eighth grader Murray Smith scored four touchdowns. One of his short touchdown runs was set up by a long pass from Noah Kohn to Jon Paul Maney. Tristan Osang caught two passes on extra point tries. Kellen Khan had an excellent game with his onside kicks for the Warriors. Defensively, Evan Boothe had a stand-out game, making several tackles and disrupting Greenville‘s offense. 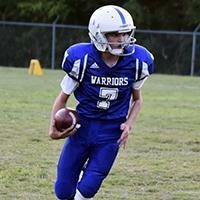 The Warriors host Garland Christian at home on September 27, at 5:30 p.m.
See more Middle School Football photos. After a rain-out against Greenville Christian on September 22, the Varsity Warriors open district play on Friday night, September 28, with a home game against Lone Star High School North at 7:30 p.m.
See more Varsity Football photos. Get Your Warrior Spirit On! The Spirit Shop is open for business, with great new styles and classic favorites so you can show your Warrior spirit! The Spirit Shop will be open on Monday and Wednesday mornings from 7:45-8:45 a.m. and Monday, Thursday, and Friday afternoons from 2:45-3:45 p.m.
Kindergarten Visit to the Fire Museum, 9:00 - 10:45 a.m.
Lower School students will be released at 11:30 a.m. Middle and Upper School students will be released at noon. After-care (for Lower and Middle School students) is available with a reservation. Upper School students should make plans to leave campus by noon. Sisteens Homecoming Spirit Pack Sales Begin, 7:30 - 7:50 p.m.
Lakehill Night at Spirit City Pops (Greenville Avenue), 6:00 - 10:00 p.m.
Third grade to the Arboretum, 9:00 a.m. - 1:00 p.m.
Senior Parent Night, 7:00 p.m.
New Parent Coffee 8:15 a.m.
Windy City Players (K-6) 8:30 a.m.
Lower School Triangle Rules Assembly, 8:15 a.m.
PFC Executive Committee Meeting, 2:00 p.m. Sponsored by the Warrior Outreach Organization (WOO), 9:30 - 11:30 a.m.
November 3 - Save the Date! Register now for the one-mile Fun Run and 5K chip-timed event. A Small Place to Do Big Things.